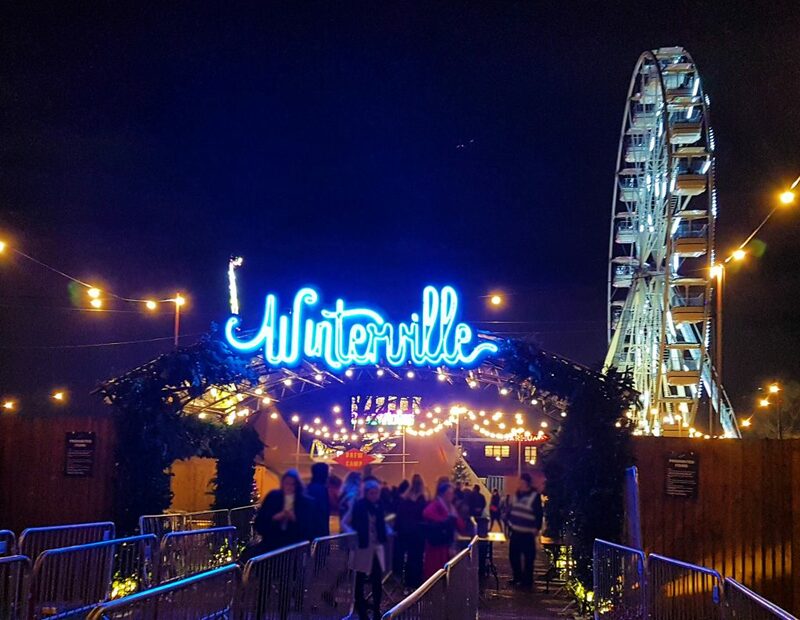 In 2017 London’s Winterville moved south of the river, making its home on Clapham Common for the month of December. The concept of a Christmas festival is not new, with perhaps Winter Wonderland at Hyde Park being the most iconic of them all. However, Winterville offers a wonderfully intimate and local feel, and is subsequently far less stressful than others of its kind. Check the weather forecast as most of the venue is outside. Make sure you bring plenty of layers (gloves, hats, you name it!) because although there is plenty of hot chocolate and mulled wine on offer to warm you up, being freezing cold is not fun. Winterville is open Thursday – Sunday (5PM-9:45PM, 5PM-10:15PM, 11AM-10:15PM and 11AM-9:45PM respectively). If you’re going on the weekend, arrive before 6pm to avoid the £3 entry fee which is implemented on Friday and Saturday nights. Get cash out before you go because the cash machines inside the site charge a transaction fee. There are free cash machines available closeby, near Clapham Common station. Food is courtesy of Street Feast, who are also responsible for Hawker House and Dinerama to name a couple of their street food market successes. Street food markets are great in terms of catering for a variety of tastes, however they can get busy so it’s a good idea to familiarise yourself with what is on offer beforehand, get in a queue and stick to it. You can see the options available here. Housed inside a structure of shipping containers, the Street Feast stalls include everything from delicious jerk chicken to fish & chips, to a classic wood-oven pizza. One to definitely save room for though is the Chin Chin Dessert Bar who are famous for their nitro-ice cream. Expect s’mores and ice cream sandwiches! Most importantly, for parents, there are also a number of bars sprinkled around the site with mulled wine, fizz, beer and cocktails a-plenty. Outside of Street Feast, there are also plenty of smaller stalls selling warming and Christmassy snacks such as roasted chestnuts and hot chocolate. Interestingly and uniquely, dogs are allowed at Winterville as long as it’s before 5pm and they are on a lead. First and foremost, it’s always useful to have a meeting point. If you walk past the Big Wheel, you will find a beautiful Christmas tree which serves as a great meeting point should anyone get lost. The Big Wheel itself would also make another good suggestion. 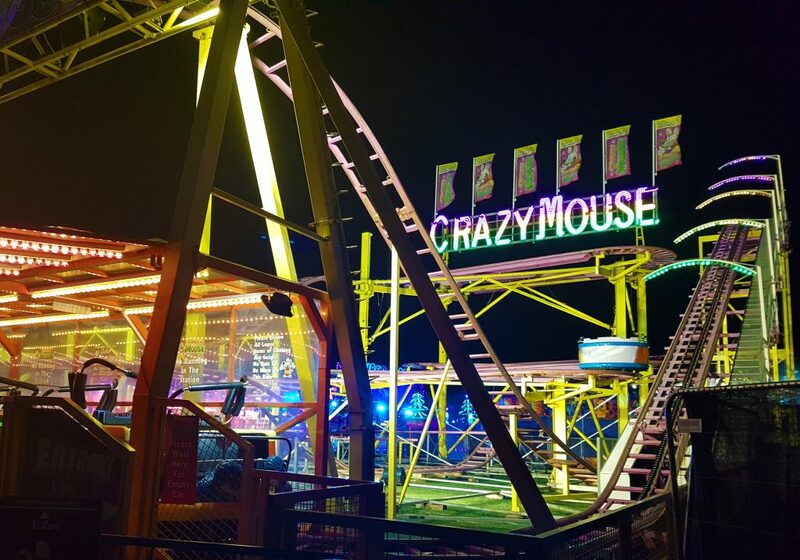 Bigger kids will love the Crazy Mouse rollercoaster, the Flying Dumbos and the Haunted House. For smaller children or those who prefer a more family-friendly ride, check out the Ghost Train and the Dodgems. There is also a whole Christmassy area with teacup, train rides and other fun for young children. Plus, you can get a great view of Clapham and South London from the Big Wheel! You can book for this here. The fairground features a range of festive games, including racing reindeer and a basketball shootout. There are plenty of opportunities to win a giant teddy bear! Note: The fairground and rides work on a token system which is a great opportunity to give children some budgeting responsibility. These tokens can be bought within the fairground, and activities generally cost around 3-5 tokens. Roller disco – opposite Street Feast, a good alternative (or addition!) to ice skating, this roller disco will take you back to the 80’s. Save 20% on tickets through LittleBIrd here. Backyard Cinema’s Winter Night Garden – a fully-heated indoor winter cinema, set in an enchanted forest and showing Christmas classics which you can watch from the comfort of a beanbag sofa! Family Christmas Show – Mimi & the Mountain Dragon in the Spiegeltent – Adapted from the book by Michael Morpurgo by the Skewbald Theatre. Save 20% on tickets through LittleBIrd here. World Beyond the Wardrobe – an immersive Winter experience for kids aged 3-8 and parents. Windmill Dr, London SW4 9DE. You don’t need to worry about finding it – it’s hard to miss the giant ferris wheel on the common! The nearest tube stations are Clapham Common and Clapham South which are on the Northern line.The closest overground station is Clapham High Street. Both of these are a short few-minute walk away from Winterville. Clapham Junction is approximately a 10-15 minute walk away and is served by National Rail and London Overground to London Victoria and Waterloo as well as other stations further away. Bus routes that stop at Clapham Common include 35, 37, 50, 88, 137, 155, 249, 255, 345, 355, 417 and G1. Night buses passing nearby include N35, N37, N155, N137, N345. It is advisable not to drive as there is limited parking in the area. If you are travelling by taxi, use the address above. There is a Taxi Rank and drop-off point for black cabs on Rookery Road closeby. Clapham Common is easy to get to by bike as it is on the Cycle Superhighway 7 and Quietway 5. There are bike racks situation conveniently by the main entrance. Babyccino’s 5th Annual ShopUp Event is Coming!